Amazon is changing the rules for how local governments buy goods — and putting cities, counties, and school districts at risk. Read the full report below, or click on the cover image at left to download it as a PDF. To get all of our latest reporting and research, sign up for our monthly newsletter. Amazon’s been the subject of a lot of headlines lately. But while the company’s growing power in the consumer market has drawn scrutiny, Amazon’s move to capture another large stream of spending — the public sector’s — has gone largely unnoticed. Last year, Amazon quietly secured a national contract to provide cities, counties, and schools with office and classroom supplies, library books, electronics, and more. The contract was awarded by U.S. Communities, an organization that negotiates joint purchasing agreements for its members, many of which are local governments. It’s received virtually no media coverage, and yet it opens the way for billions of dollars in public spending to shift to Amazon. As this report details, key aspects of both this contract and Amazon’s push into public purchasing should alarm citizens and elected officials. To begin with, the terms of Amazon’s contract with U.S. Communities depart in striking ways from established norms in public procurement, favoring Amazon at the expense of the public. The contract lacks standard safeguards to protect public dollars, and puts cities, counties, and schools at risk of spending more and getting less. The contract also poses a broader threat. Amazon is using the contract to position itself as the gatekeeper between local businesses and local governments. As it does so, it’s undermining competition and fortifying its position as the dominant platform for online commerce. In a written statement, Amazon notes that it won the contract through a process “subject to full and open competition.” Yet, our analysis, which is based on a review of the contract documents, including materials and emails obtained by public information request, finds that the request for proposals was written in a way that favored Amazon and precluded competing offers. Among those shut out were independent office supply companies, such as Guernsey. This Virginia-based company employs more than 200 people and is part of a national cooperative of independent dealers that put together the winning offer for the last U.S. Communities office supply contract, in 2010. “We looked at [the request for proposals] and said, there’s just no place for us,” says David Guernsey, the company’s founder. 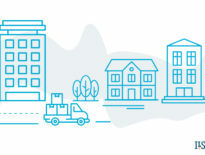 Amazon is leveraging its growing relationship with local governments to induce more businesses to join its Marketplace, thus fortifying its position as the dominant platform for online commerce. As Amazon markets its contract with U.S. Communities, it’s telling public officials that they can continue to buy from these local suppliers, because these businesses can become third-party sellers on Amazon’s platform. In other words, Amazon is leveraging its growing relationship with local governments to induce more businesses to join its Marketplace. For businesses that do so, however, the costs are steep: Amazon takes a 15 percent cut of their revenue and sets the terms by which they’re allowed to operate on the platform, all while competing against them. Meanwhile, as cities shift their spending away from local office supply companies, or from chains that have local locations, and to Amazon, they’re contributing to the erosion of their own tax base. While Amazon lacks a physical location in many of the places where it does business, locally headquartered companies employ dozens of people, and pay the property, sales, and income taxes on which cities, counties, and school districts depend. The Request for Proposals, or RFP, for the U.S. Communities contract was written in a way that favored Amazon and hobbled a truly competitive bidding process. A core tenet of government procurement is to write an RFP in such a way that it attracts multiple competitive offers. In the case of this RFP, our analysis suggests that it was tailor-made to favor a single company, Amazon. Only five companies were able to put together offers deemed even minimally responsive to the RFP’s requirements. Of these, four received very low scores in the evaluation process, ranging from 2.5 to 36.7 points, out of 100. The final offer, from Amazon, won 91.3 points. Amazon’s contract with U.S. Communities fails to secure the best price for local governments and lacks pricing protections that are standard in public procurement. We found that Amazon won the U.S. Communities contract without having to compete on price, and without providing a volume discount for the $5.5 billion in sales the contract is expected to generate over 11 years. This is a remarkable departure from standard practice. For routine goods like office supplies, local governments typically develop a list of hundreds of their highest-volume items, and then solicit a contract that calls for a fixed price on those items. This approach enables cities to make apples-to-apples price comparisons of competing proposals. In contrast, Amazon’s contract with U.S. Communities does not guarantee prices for any items. Instead, the contract adopts Amazon’s dynamic pricing — the constantly changing prices available on Amazon Business. The company asserts that because Amazon Business is a “marketplace” that hosts multiple sellers, its platform naturally produces the lowest prices. Yet, Amazon’s control of the platform and the fees it charges sellers raise doubts about the validity of this assertion. To evaluate pricing on Amazon Business, we asked OPSoftware, a firm that tracks office supply pricing across multiple retailers, to run a price comparison. Using the purchasing history of a California school system, OPSoftware found that the district would have paid 10 to 12 percent more had it purchased the same supplies on Amazon Business, rather than through its established local supplier. 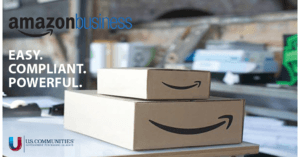 Another recent study by the Naval Postgraduate School examined options for federal buyers and similarly found that Amazon Business is not the cheapest option. With this contract, Amazon is positioning itself as the platform through which other companies have to go to reach government buyers. As Amazon sells the contract, it’s told public officials that they can still shop with their local businesses but just do so through Amazon’s platform. Independent businesses that have a track record of winning government contracts are in turn being pitched to join the Amazon Marketplace by both Amazon and, in some cases, public officials. With this strategy Amazon is following an approach that it’s already used with consumer goods: Positioning itself to be not just the retailer selling goods to public agencies, but the platform through which its competitors have to go to reach their buyers. This enables Amazon, through the fees that it charges sellers, to collect a private tax on their sales. The contract’s service terms mean slower delivery times for local governments. Amazon is often credited with setting new expectations for the speed of orders, but the delivery terms in its contract with U.S. Communities are a step down for cities. That’s because office supply dealers established next-day delivery as the norm in their industry several decades ago. When Independent Stationers, a cooperative of independent office products dealers, won the U.S. Communities contract for office supplies in 2010, its terms included free next-day delivery. In contrast, Amazon’s contract does not provide guaranteed delivery times, and while contract users can access free two-day shipping through 2018, that benefit is only available on certain items and is set to expire, after which point buyers will need to pay for Business Prime. The contract adopts Amazon’s own terms and conditions over local governments’ — and does so in a way that compromises public transparency. The final contract contains terms and conditions that were largely rewritten by Amazon’s legal team. As a stream of emails and red-lined documents show, Amazon altered provisions governing issues such as payment terms and opportunities for minority subcontractors, and added new sections, including one that provides an umbrella deferral to Amazon’s prevailing account terms in the case of inconsistencies. Amazon’s changes also include a section that covers Freedom of Information Act requests for documents related to the contract. The revised terms require that Amazon be informed when a request is made, and they give Amazon the right to intercede and lobby that the information not be disclosed. This change violates the spirit of public information laws, and it goes against the principle that, when it comes to government spending, citizens should be able to see what’s going on. The U.S. Communities contract is one element of Amazon’s broader strategy to go after public sector spending. Securing the U.S. Communities contract didn’t come out of nowhere. Over the last two years, Amazon has made capturing public sector spending part of its growth strategy. Amazon first signaled the scope of its ambitions in the fall of 2016, when it hired Anne Rung to lead its government division. Rung spent most of the Obama Administration in top roles in federal procurement. In the months since, Amazon has made deep inroads into defense contracting and other federal spending, including with the passage this year of legislation directing the General Services Administration to solicit contracts for “e-commerce portal providers” to supply federal agencies with commercial goods. In positioning itself to win this business, Amazon’s been making some of the same assertions that’s it’s made at the local level, including that its role as a gatekeeper will be good for its competitors. In a recent interview with Bloomberg, Rung framed the portal law as especially benefitting smaller-sized businesses. Local governments have been doing more off-contract spending with Amazon, a factor that’s propelling cities to adopt the U.S. Communities contract. Government employees have been increasingly turning to Amazon for the odds and ends they need to do their jobs. Most of this spending has occurred not through formal contracts, but through smaller, impromptu purchases. To better understand the scope of this spending, we gathered data from 60 cities, counties, and school districts about their spending with Amazon in 2016, the year before the U.S. Communities contract was signed. The data reveal wide variation, but, on average, the school districts in our sample spent $0.93 per capita with Amazon, while cities spent $0.32 and counties $0.10, for a total of $1.35 per person across these three types of jurisdictions. 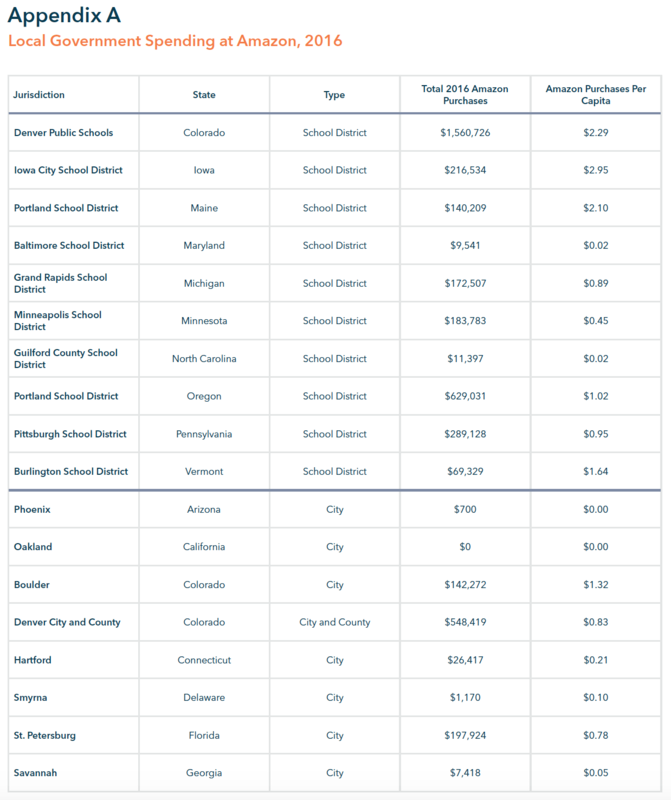 The Denver Public School District topped the list in total spent, spending $1.6 million with Amazon in 2016. While it’s too early to say how Amazon’s share of public spending will grow under the contract, initial indications suggest the effect might be sizable. Take, for example, the Denver Public School District, which, as a member of the U.S. Communities Advisory Board, commits to utilizing its contracts. 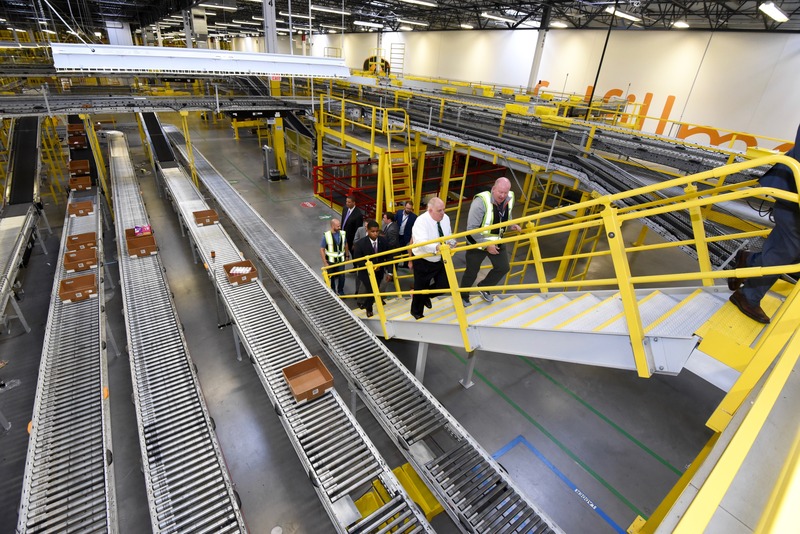 The district’s spending with Amazon rose to $2.8 million in 2017, a jump of 77 percent from 2016. Some cities aren’t buying Amazon’s deal. Some jurisdictions recognize that, while Amazon may at times offer the most convenient option, their policies need to account for the full costs of shifting spending to the company. Virginia Commonwealth University, for example, has this policy for off-contract spending: “While not expressly prohibited, departments that order through Amazon are accountable for compliance with the following requirements and must take into account the negative impact the purchase(s) have on the university.” Those impacts reflect the university’s interest in securing discounted pricing and supporting competition. The city of Phoenix offers another example. Phoenix’s purchasing records show that the city spent just $700 with Amazon in 2016. That’s in part owing to a policy that prioritizes local businesses for small off-contract purchases. 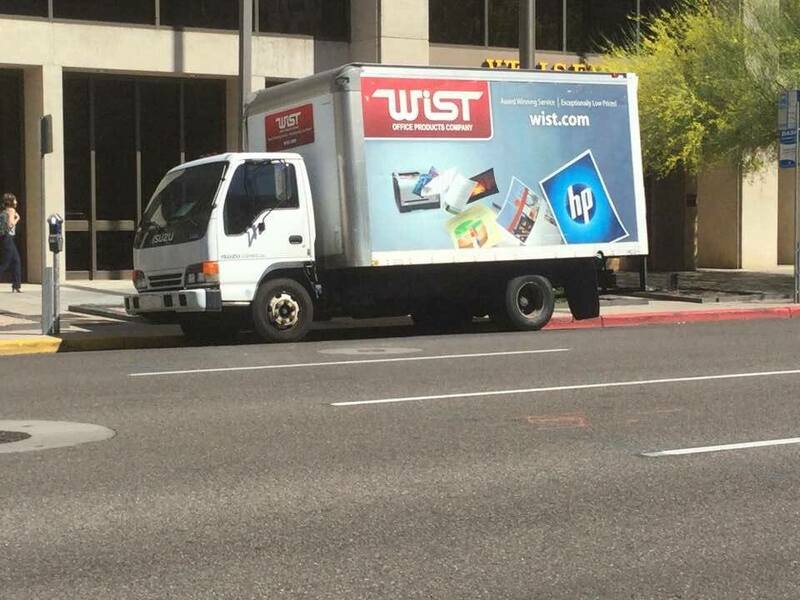 Another reason is that the city’s competitively bid contract for office supplies was won by a locally owned company, Wist Office Products. The contract has special features that the city negotiated, like desktop delivery. As the discussion about Amazon’s growing economic and political power has become increasingly loud, that discussion has largely centered around the federal level. Now, as Amazon pushes into public sector purchasing, local governments also have the opportunity to take action. They will face a choice: Whether to use public money to further Amazon’s monopoly power, or to take steps to limit their spending with the company and instead cultivate a diverse economy. 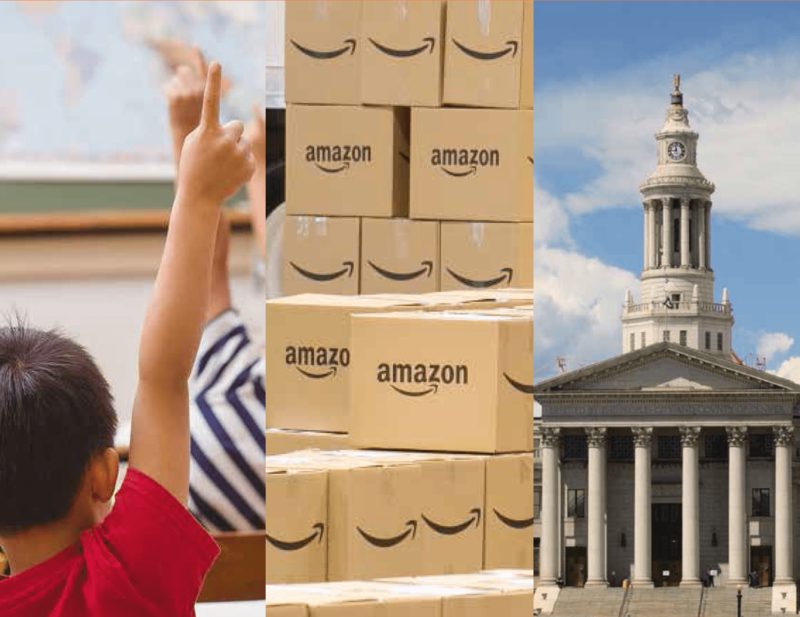 With this report, we urge cities, counties, and school boards to closely examine both the full costs and the broader stakes as they decide how to respond to Amazon’s pursuit of the public sector. To read the full report, download it as a PDF or continue reading below. Plus: Don’t miss our fact sheet on three strategies you can use to take action. In the fall of 2016, Gordon Thrall saw a Request for Proposals (RFP) released by Prince William County Public Schools, a nearly-90,000 student school district in Virginia. Thrall knows the district well. The Virginia-based company where Thrall works, Guernsey, had previously serviced a contract for the district’s office products. When people think of an office products business, they might think of either a big-box chain or a small mom-and-pop store. Out of sight of many consumers, though, is a robust network of independent office products companies that are somewhere in the middle. They’re primarily business-to-business operations. Instead of storefronts, they have sales representatives, e-commerce sites, and delivery trucks. These independent dealers are an important economic force, accounting for about 20 to 25 percent of the market for office supplies, according to the National Office Products Alliance. Guernsey is a good example. David Guernsey started the company in 1971, and today, it has about $90 million in annual revenue, and Thrall is one of more than 200 people it employs. Along with competitive prices, the company has offered online ordering for nearly 20 years and free next-day delivery for more than 40. There are other service perks, too: When Guernsey delivers an order of printer paper and toner cartridges, it drops off the supplies in every copy room on every floor. When Gordon Thrall saw the RFP from Prince William County Public Schools, he was also familiar with another name listed on the document: U.S. Communities, an organization that facilitates public agencies joining together in purchasing contracts. Often referred to as “cooperative” purchasing, joint purchasing is an idea that started gaining traction in the 1990s, and in 1996, a group of governmental organizations founded U.S. Communities. Today, its governance is overseen by a group of seven sponsors that includes the National Association of Counties, the National League of Cities, and the National Governors Association. Its operations are managed by a private company, OMNIA Partners. In the case of this RFP, Prince William County Public Schools was functioning as the “lead agency” to solicit the contract on behalf of U.S. Communities, which would then invite its members to sign on to the deal. The purchasing group counts more than 55,000 members, which include public entities of all sizes and types, across all 50 states. The police department in Mesa, Ariz., the school district in Denver, the library in Menomonie, Wisc., the City of Atlanta, Ga., the County of Travis, Texas — all are members of U.S. Communities. There’s also the potential for local governments to get ripped off. When Office Depot held the U.S. Communities contract for office and classroom supplies in the 2000s, the company came under investigation in six states for alleged overcharges. Office Depot ultimately refunded state and local governments millions of dollars, including a $4.5 million settlement in Florida, and a $68.5 million settlement in a related case in California. “Frankly, it seemed to go against all of the procurement processes that we understood,” Thrall says. In the aftermath of the Office Depot scandal, Guernsey was part of a cooperative of independent office products dealers across the country that put together the winning offer for the U.S. Communities office supply contract. The group, Independent Stationers, held the contract for five years, but when it ended in the summer of 2015, U.S. Communities didn’t immediately solicit a new contract for office supplies. The RFP estimated the value of the contract to be $500 million annually, with an initial term of five years and the option to renew for three two-year periods. Over a potential 11-year term, in other words, the contract had an estimated value of $5.5 billion. For U.S. Communities, there is an advantage to putting together such a large contract: The organization receives an administrative fee, charged to suppliers, which it describes as ranging from 1 to 2.5 percent of purchases made by its members. For this contract, that works out to between $55 and $138 million in anticipated fees. U.S. Communities reports that agencies procure $2.7 billion through all of its contracts annually, which means that this contract comprises a significant share of U.S. Communities’ total volume. When Thrall, at Guernsey, saw the RFP, he realized right away that it was different from anything he’d seen before. “Frankly, it seemed to go against all of the procurement processes that we understood,” he says. Thrall wasn’t alone. In an addendum to its initial RFP, Prince William County Public Schools released six pages of questions it had received about the RFP from prospective offerors, and provided answers. As Thrall and David Guernsey, the founder and CEO of the company, looked at the RFP, they realized that they wouldn’t be able to put together a responsive offer, and decided not to respond. Suddenly, Guernsey was shut out of business that it would typically compete for and potentially win. “We looked at it and said, there’s just no place for us to play,” David Guernsey says. Four months later, in January 2017, Prince William County Public Schools and U.S. Communities announced the award: Amazon had won the contract. Or, more precisely, Amazon Business, the company’s business-oriented marketplace, had won. Launched in 2015, Amazon Business is similar to Amazon’s consumer-facing platform, but aimed at corporate, government, and institutional buyers. Amazon and U.S. Communities both framed the award as a transformative moment for public sector procurement. 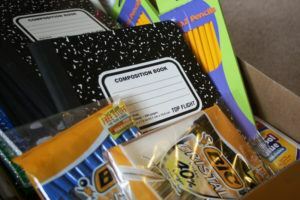 “We’ve just made it easier for educational and public-sector organizations to get the supplies they need,” the two organizations wrote in a joint release. Our analysis, however, finds significant concerns for citizens and public agencies alike in Amazon’s contract with U.S. Communities. We find evidence to suggest that this RFP was written in such a way that hobbled a truly competitive bidding process; that the contract’s pricing terms fail to secure the best price for local governments; that its service terms mean substandard delivery times; and that the contract adopts Amazon’s own terms and conditions over local governments’, and does so in a way that compromises public transparency. In this section, we examine four ways that the contract fails local governments: process, cost, service, and terms and transparency. Process: We find that the U.S. Communities RFP process favored Amazon and precluded competitive bidding. Though Amazon’s statement emphasizes that the contract was “competitively solicited,” Thrall and David Guernsey weren’t alone in thinking that the Request for Proposals was written in such a way that very few organizations, and perhaps only one, could respond to it. A review of hundreds of pages of documents and e-mails between the school district, U.S. Communities, and Amapzon offers evidence to suggest that they were right. Prince William County Public Schools received 12 responses to its RFP, and of those, seven failed to submit complete materials, and so PWCS deemed just five responsive. The evaluation scores that show how PWCS and the U.S. Communities Evaluation Committee rated those five offers, however, cast doubt on how many of the companies offered truly responsive proposals — and therefore, whether the RFP was truly competitive. “If the RFP said there are 10 categories, and you know going in that Amazon is the only one able to be responsive, then it’s not a real RFP,” says Mucha of the Government Finance Officers Association. Of the five responsive offerors to the PWCS-U.S. Communities RFP, one, a tiny business called Scull Studios that primarily provides commercial printing services, was awarded just 2.5 points out of 100. Two — a musical instrument supply company called Peripole and the book supplier Textbook Warehouse — were awarded scores of 15.3 and 15.7. The second-place offeror, a wholesaler of office products called Essendant, was awarded 36.7 points in the final round of scoring. Amazon won 91.3 points. In a sign of the novelty of this RFP, the second-place finisher hadn’t done this before. “Historically Essendant has not been a bidder of record,” a vice president at the company wrote to PWCS, in an email exchange obtained via record request. Primarily a wholesaler, Essendant had decided that changes in the office products sector meant that “the timing is right” for the company to start trying to win public-sector business directly, according to the email exchange. In its offer, Essendant pitched itself as a company that could combine the benefits of both large and small: The supply chain and sales force of Essendant, a Fortune 500 company with 40 distribution centers, $100 million in recent infrastructure upgrades, and next-day delivery to 98 percent of the U.S.; and, at the same time, the personalized service of 10,000 independent office products companies, who would partner with Essendant on pieces of the contract. Along with the low scores of the other offerors, a second revealing fact about their offers is how many of the 10 categories outlined in the RFP they included. The second-place finisher, Essendant, submitted an offer that included just three of the 10 categories, those for office supplies, classroom supplies, and miscellaneous and other; in that third category, Essendant offered office furniture, janitorial supplies, and several other product types. While we only obtained the offers from Essendant and Amazon, given the other final offerors’ low scores and specialty areas — printing, musical instruments, and textbooks — we infer that their offers likely covered this many or fewer categories of goods. Amazon’s offer, meanwhile, covered all 10 categories. Instead of a fixed, guaranteed price, the pricing in the contract is based on Amazon’s dynamic pricing. Prices change constantly over the course of a day, according to a model that’s set by Amazon and not available to the public. Cost: We find that Amazon’s contract lacks standard pricing protections, leaving cities and school districts at risk of paying inflated prices. A key argument for joint purchasing is that, by banding together, local governments will be able to leverage their combined buying volume to get a better price. Indeed, in its pitch to public agencies, U.S. Communities leans heavily on the price benefits of its contracts. “Our supplier partners commit to their best overall government pricing,” says Rob Fiorilli, a program manager for U.S. Communities, in a February 2017 webinar for U.S. Communities members about the Amazon contract. Despite this, the U.S. Communities contract appears to have been awarded to Amazon with little consideration of the cost for local governments, and indeed, with pricing terms that differ sharply from established norms in public sector purchasing. These terms create risks for public agencies and citizens, including a significant risk of paying inflated prices. U.S. Communities promoted its contract with Amazon Business with this image. This section details these unusual contract terms and their implications, including that Amazon is not required to guarantee a fixed price on any items, that Amazon doesn’t provide a volume discount for U.S. Communities’ members, and — most striking of all — that Amazon’s argument for how it ensures public agencies the best value on their purchases hinges on the “competition” that happens internal to its own platform. In this section we also report on new research that finds that Amazon doesn’t have the best prices, at least not in every case: An analysis conducted by the firm OPSoftware found that a school district in California would have paid about 12 percent more had it made its purchases through Amazon Business. Amazon’s explanation for how it will provide low prices to public agencies relies on the role of sellers in its Marketplace — and the assumption that the lowest price will always be internal to Amazon. To understand just how different this instruction is, it’s helpful to start with how pricing in public sector purchasing of goods has typically worked. With procurement, local jurisdictions everywhere have varying rules. But generally speaking, for routine goods like office supplies, many local governments have handled procurement by developing a “core list” of hundreds of their highest-volume items, and then soliciting a contract that calls for a guaranteed fixed price on those items, with adjustments to that pricing made at set intervals. Because they’re being directly assessed on price, companies that are responding to the RFP typically make a proposal that prices those core items at a deep discount. Guernsey, for instance, goes to manufacturers to negotiate volume pricing for public sector contracts and other deals. “It’s at or below cost,” says Thrall at Guernsey. This process means that local governments can clearly choose a company that’s offering them the lowest price. At its best, it also means that they’re leveraging their size to get a volume discount, getting the lowest prices on the items that they buy the most, obtaining consistent pricing that they can use to plan and budget, and removing the risk of future price increases. The pricing methodology that Amazon proposed in its offer, and that was adopted in the contract, is very different. Instead of a fixed, guaranteed price, the pricing in the contract is based on Amazon’s dynamic pricing. This means that not only do prices change, they do so constantly over the course of the day, and according to a model that’s set by Amazon and not available to the public. (In one concession to public agencies’ need to plan ahead and get approvals for purchases, Amazon did include a “hold” feature that locks the price of an item for seven days once a user of the Amazon-U.S. Communities contract adds the item to the checkout cart). Though pricing on Amazon Business changes constantly, just as it does on Amazon’s consumer-facing platform, it appears that the U.S. Communities Evaluation Committee assessed Amazon’s pricing using only a log-in that it could use to spot-check prices. From a thorough review of the evaluation documents, both those that are publicly posted and those obtained via Freedom of Information Act request, it does not appear that the Evaluation Committee requested or performed any more rigorous pricing analysis. A second difference in the contract is the absence of a price benefit for public agencies’ volume spend. With the Amazon-U.S. Communities contract, purchasing for public agencies works much the same as it does for an individual: Users log in to Amazon Business with their organizational email, search for the items they’re looking for, and add them to their cart. This means that a large school district that expects to place four orders for 200 toner cartridges might have the option to order, say, a pack of 10, but doesn’t get to negotiate for a better price based on the volume of the orders it will place over the course of a year. Again, a core part of U.S. Communities’ appeal to public agencies — that by joining together, they can leverage their collective purchasing power to get a better deal — doesn’t apply to this contract. Amazon says that public agencies can still purchase from their local companies — but just do so through Amazon’s platform, with Amazon taking a cut. It’s the third difference, though, that most distinguishes the pricing terms in the Amazon-U.S. Communities contract, and that poses the greatest potential for risk. Without a fixed price for public agencies to use to assess the pricing in the contract, Amazon instead offers a different explanation for how it plans to offer low prices to public agencies: It argues that competition that happens between sellers in its Marketplace is enough to ensure public agencies the best value on their purchases. There’s an assumption at the heart of this argument. It relies on the belief that the best price will always be internal to Amazon, or in other words, that one of the sellers on Amazon’s Marketplace will have a better price than any seller off of it. Amazon is, of course, also a seller on its own platform, and its role as both a retailer competing on the platform and the platform itself often creates a conflict of interest. For instance, there’s evidence that Amazon prioritizes its own offerings in search results; there are examples of Amazon leveraging its role as both platform and retailer to extract concessions from suppliers; and there’s research that suggests that Amazon uses the data of the third-party merchants on its platform to improve its ability to compete against them. This dual role also means that all of the sellers on Amazon’s platform are giving Amazon a cut of every sale they make, generally, 15 percent. To Amazon, these fees translated into more than $31.8 billion in revenue in 2017. Guernsey’s had to think about it. Amazon has approached Guernsey to pitch him on becoming a seller on the Marketplace. It’s something that he’s heard about from public agencies, too: After Amazon won the U.S. Communities contract, Guernsey remembers saying that he was being muscled out of public sector purchasing, and hearing back, ‘No, you can become a seller on Amazon’s Marketplace.’ Amazon’s also making that pitch directly to public agencies. In our conversations with procurement officials in local governments, one described how, when Amazon had approached him about signing on to the U.S. Communities contract, the company’s representative had said that his city could still shop with small businesses as part of the contract, but just do so on Amazon. The idea, Amazon seems to be saying, is that public agencies can still purchase from their local companies. That purchase will just run through Amazon’s platform instead of through a public process, and Amazon will take its cut. In the section of the RFP that outlines the criteria for evaluating proposals, “Proposed Costs” counts for up to 20 points. The U.S. Communities Evaluation Committee awarded Amazon the full 20 points for its proposed pricing, compared with 4.1 points for the second-place offeror, Essendant. It’s unclear on what the committee based that decision. Yet, given the fees that Amazon extracts from every seller in its Marketplace, it’s tough to see how the lowest price will always be internal to Amazon. To test the question of how the prices on Amazon Business compare, we asked Rick Marlette of OPSoftware, a firm that tracks office supply pricing across a range of retailers, including Amazon Business, Staples, Walmart, and many independent dealers, to conduct a price comparison. For the analysis, Marlette used a list of supplies purchased by a California school district during a two-week period in January. On the list are 57 items, some ordered in multiples: 10 packages of Crayola washable colored markers, 25 three-ring binders, 4 certificate holders, and so on. The district purchased these items from an independent office supply dealer in the region and was invoiced $1,205, with next-day delivery provided at no additional cost. Marlette’s analysis isn’t the only evidence. In December 2017, a report from the Naval Postgraduate School compared the U.S. General Services Administration’s “GSA Advantage” e-commerce platform for federal agencies with Amazon Business, looking at the prices of 60 common items purchased by the Air Force in 2015. The report found that the federal platform beat Amazon Business on price for “most items,” and also offered more robust bulk and quantity discounts, though GSA Advantage does have minimum order requirements that limit flexibility. 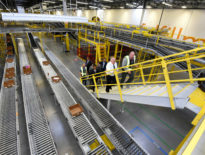 “Amazon Business, in its current state, is not ready for use above the micro-purchase threshold,” the report concluded. Amazon is often associated with low prices, but these two analyses suggest that perception may not match reality, at least not in the office supplies sector. And while it might be assumed that obtaining the best value for its members would be one of the primary benefits driving U.S. Communities to make a deal with Amazon, in fact, its contract eschews the very protections that have been developed to ensure low costs for local governments. Already, some public officials are growing concerned. Michael Lamb, the controller for the city of Pittsburgh, is one of them. Pittsburgh signed onto the Amazon contract with U.S. Communities in the summer of 2017, and Lamb says that he’s developed doubts about the city using the contract. One of them is about cost. “There’s the concern that we’re not getting the best price,” Lamb says. “We’re paying for shipping on items now that we could have gotten without shipping from a local vendor, and so the price is higher.” Since adopting the Amazon contract, Pittsburgh has started an audit of its processes around “cooperative” contracts. Service: We find that Amazon’s contract provides slower delivery times. For many cities, Amazon’s contract is a notable step down when it comes to fast delivery. That might seem surprising for a company often credited with setting a new standard for how quickly people expect packages to arrive. But, in the office supply sector, independent dealers long ago established next-day delivery as the norm for their customers. Guernsey, for instance, has offered free next-day delivery for more than 40 years, and same-day delivery to customers in certain delivery zones. This type of service isn’t an outlier among independent office supply dealers: When Independent Stationers, the cooperative of local office products dealers, won the U.S. Communities contract for office supplies in 2010, its terms included free next-day delivery for orders placed before 4:00 p.m., with no minimum order size required. One evident benefit of Amazon’s contract with U.S. Communities seems to be the ability for a local government to order everything in one place, combining purchases of routine office items with those for lab supplies and musical instruments. Indeed, following Prince William County Public Schools’ announcement of its intention to award the contract to Amazon, Anthony Crosby, PWCS’ lead on the contract, sent an email to representatives of Amazon and U.S. Communities suggesting that he sees this as one the contract’s main benefits. “I too am very excited,” Crosby writes, “as this contract supports my long-term vision regarding ‘One Stop Shopping’ for public agencies across the country.” Crosby did not respond to a request for comment for this report. Terms and Transparency: We find that U.S. Communities and PWCS allowed Amazon to rewrite its standard contract terms, including adding a provision that allows Amazon to intercede when citizens make a public information request about the contract. There is a final way in which Amazon’s contract with Prince William County Public Schools and U.S. Communities represents a departure, and raises concerns: In its terms and conditions, and in its level of transparency. Prince William County Public Schools and U.S. Communities both have their own terms and conditions, developed and honed to suit their needs over their years of experience. In the Request for Proposals, the sections outlining both organizations’ terms and conditions comprise 21 pages of the 82-page RFP. The attached document shows Amazon’s legal team’s handiwork. It’s full of altered clauses that replace PWCS’ terms with Amazon’s own language. It even includes a new section that provides an umbrella deferral to Amazon: It gives the company’s “prevailing Amazon Business Accounts Terms and Conditions” — the rules that govern all Business accounts and which Amazon can change at any time — precedence over the revised PWCS terms should an inconsistency arise. The most brazen change Amazon made to PWCS’ terms involves a section that covers the Virginia Freedom of Information Act. The original terms note that, under the law, all of the documents and proceedings related to the contract “shall be open to the inspection of any citizen, or any interested person, firm or corporation.” In Amazon’s re-write, Amazon included a provision that says that, when disclosing information about the contract, PWCS has to first notify Amazon of “any Public Records Act requests,” and also allow Amazon “the right to request exemption or redaction based on assertions of confidentiality or proprietary information to the extent permitted by applicable law.” PWCS accepted the changes to this section of its terms and conditions as written by Amazon. Public agencies that adopt the U.S. Communities contract typically adopt these terms and conditions that Prince William County Public Schools negotiated with Amazon, according to U.S. Communities. “We are not aware of any public agency that has different terms,” the organization said in a written statement. One of the core aims of public procurement is transparency. The idea is that when it comes to government spending, citizens should be able to see what’s going on and companies should be able to access and compete for that business. Amazon changing the way that PWCS responds to information requests made by citizens, journalists, and competing businesses under the Virginia Freedom of Information Act violates this spirit. It requires PWCS to inform Amazon of a citizen’s information request before answering the request, and it gives Amazon an opportunity to intercede and lobby that the information not be disclosed. U.S. Communities finalized its contract with Amazon at the end of January 2017, and in February, promoted the contract in an announcement to the more than 55,000 cities, counties, school districts, and other entities that are its members. To date, just over 1,500 public agencies have adopted the Amazon Business contract, according to U.S. Communities. 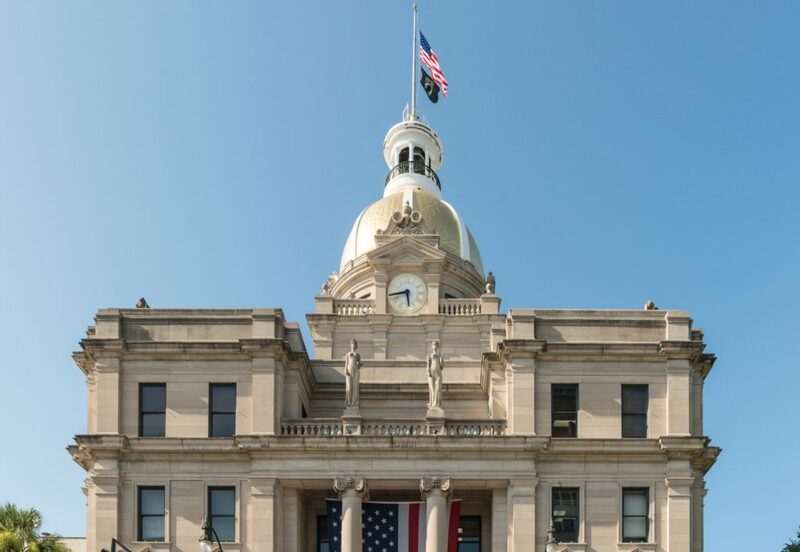 These include communities such as the school districts in Pennsauken, N.J., and Norridge, Ill., the County of Wayne, N.Y., and the City of Grapevine, Texas, all of which have signed on to the contract, according to the minutes of meetings at which the contract was approved. Amazon is out promoting the contract, too: Amazon and U.S. Communities led an information session about the contract, for instance, at the March 2018 conference of the Iowa Association of School Business Officials. U.S. Communities also has an Advisory Board of public agencies that “are committed to utilizing” the group’s contracts, as well as promoting them “among other public agencies nationwide.” The Advisory Board’s 31 members include some of the largest public agencies in the country, like the cities of Chicago, Denver, Houston, Kansas City, and Seattle. U.S. Communities discusses the purchasing volume of its Advisory Board members in the section of the “online marketplace” RFP that estimates the contract’s value at $500 million per year. One factor that’s propelling the contract’s adoption is Amazon’s aggressive sales strategy. When we enrolled the Institute for Local Self-Reliance as a member of U.S. Communities earlier this year (nonprofits may join), the registration process offered the option of specifying interest in various contracts, including a check box for the Amazon contract. Less than 24 hours after checking that box, an Amazon sales representative called us to make his pitch. Amazon’s thorough response to this question, which outlines how it’s trained a national sales force to sell to local governments, reflects the fact that, over the last two years, Amazon has made capturing public sector spending part of its growth strategy. Amazon set the stage for this in 2015, when the company rebranded its business-to-business division as Amazon Business; in its first year with that name, the division generated $1 billion in sales. Then, in fall of 2016, Amazon Business made a move that declared its intentions to go after public sector spending, too: It hired Anne Rung to lead its government division. Rung was a catch for Amazon. 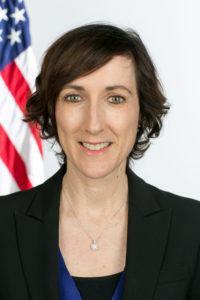 She’d spent most of the Obama Administration in top roles in federal procurement, first at the U.S. Department of Commerce, then the U.S. General Services Administration, and finally, two years as the U.S. Chief Acquisition Officer at the White House. After her hire, Amazon Business started staffing up its government division more, including with other people with public sector backgrounds. In May 2017, for instance, Mario Marin came on as head of U.S. Sales for Amazon Business’ government division; earlier in his career, he ran the City of L.A.’s Mayor’s Office of Economic Development. Meanwhile, in another area of federal spending, companies competing for the Defense Department’s massive cloud computing business contend that they are being maneuvered aside by Amazon’s behind-the-scenes lobbying. In April, the department announced that the $10 billion contract would be awarded to a single provider, a decision that many believe strongly favors Amazon. On top of these contracts, late last year, Amazon cut a deal with the Department of Homeland Security to allow its employees to make day-to-day off-contract purchases from Amazon Business. In a recent interview with Bloomberg Government, Anne Rung was reluctant to talk about Amazon’s role in drafting the e-commerce portal law. She made it clear, however, that Amazon sees its platform as becoming the primary portal through which federal spending runs, and through which any business that wants to compete for that spending as to go. In the interview, Rung said that smaller-sized businesses will especially benefit from the portal law. 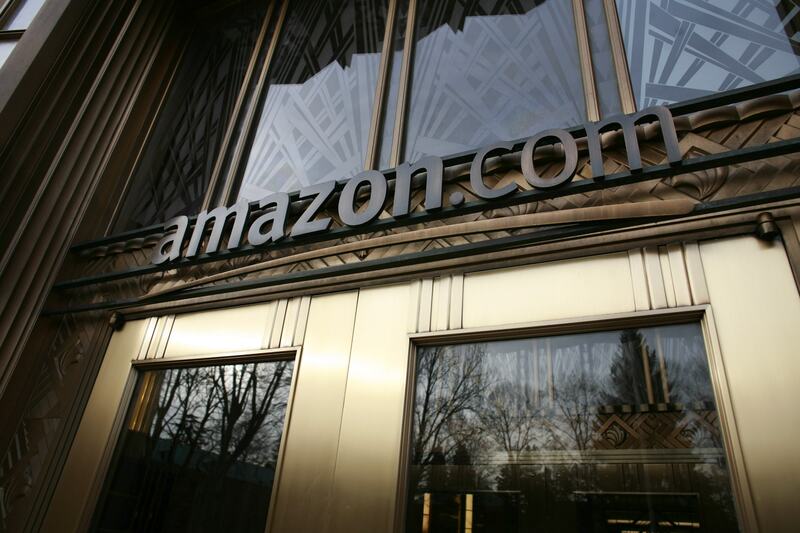 Rung has been central to Amazon’s local strategy, too. Now, through the U.S. Communities contract, Amazon aims to add local government spending to this growing portfolio of public-sector purchasing. Over the last two years, Amazon has made capturing public sector spending part of its growth strategy. While some level of off-contract spending is inevitable, procurement administrators generally make it their mission to keep a lid on this leakage. They establish checks to ensure that if a city has a contract for office supplies, city employees buy, say, printer paper through that contract and not through another vendor, such as Amazon. The aim is to protect public dollars by ensuring that most spending happens through competitively bid contracts that provide the best available pricing and service. This desire to drive spending through contracts is part of the draw of the Amazon Business contract with U.S. Communities. If spend is happening through Amazon anyway, the thinking can go, then an agency might as well sign a contract with Amazon and make that spend official. It’s an insidious part of the contract’s appeal: Though the contract skirts basic principles designed to protect public-sector spending, those same principles encourage local governments to sign on to it. How Much Are Local Governments Spending on Amazon? Amazon’s contract with U.S. Communities was a major advance in the company’s relationship with local governments, and winning it didn’t come out of nowhere. Even prior to it, Amazon had been successful at picking up a growing share of local government spending. 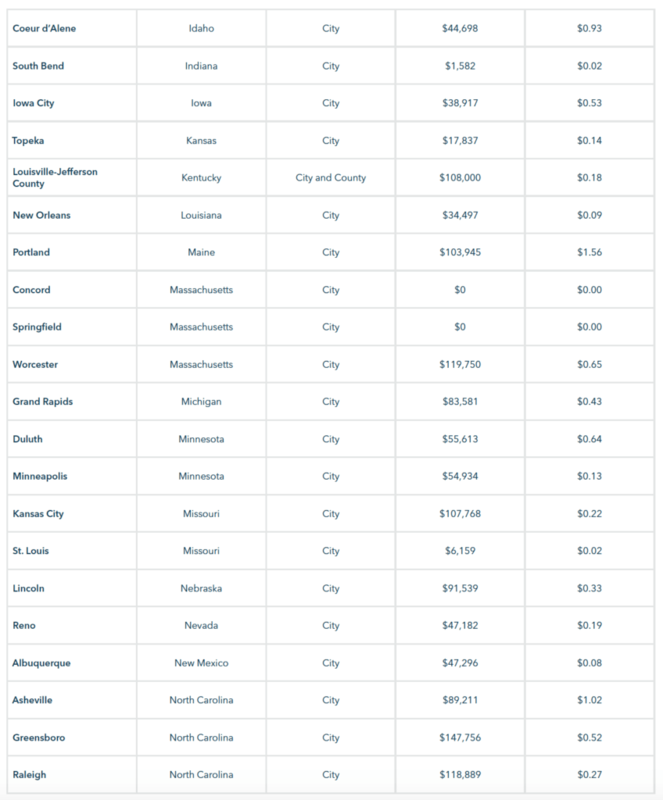 In order to better understand this spending, and to get a sense of how much it’s set to grow with the U.S. Communities contract, we submitted public records requests to more than 90 local governments and school districts across the U.S., and got back data that we could use from 60 of them. Though our requests are not randomized and our data does not comprise a representative sample, we submitted requests to a diverse range of communities. 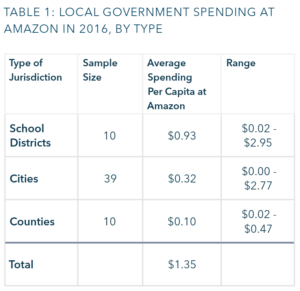 This data gives us an important initial assessment of how public spending is shifting to Amazon, and also offers a baseline against which to measure future increases in local government spending with Amazon. In 2016, for the 60 local agencies from which we received data, school districts spent an average of $0.93 per capita with Amazon, while cities spent $0.32 and counties $0.10, for a total of $1.35 per person across these three types of local jurisdictions. We found wide variation with this spending: While several agencies reported $0.00 in spending, others reported as much as $2.95 per capita. (See the appendix for the full data.) The Denver Public School District topped the list in total spend, spending $1.6 million with Amazon in 2016. 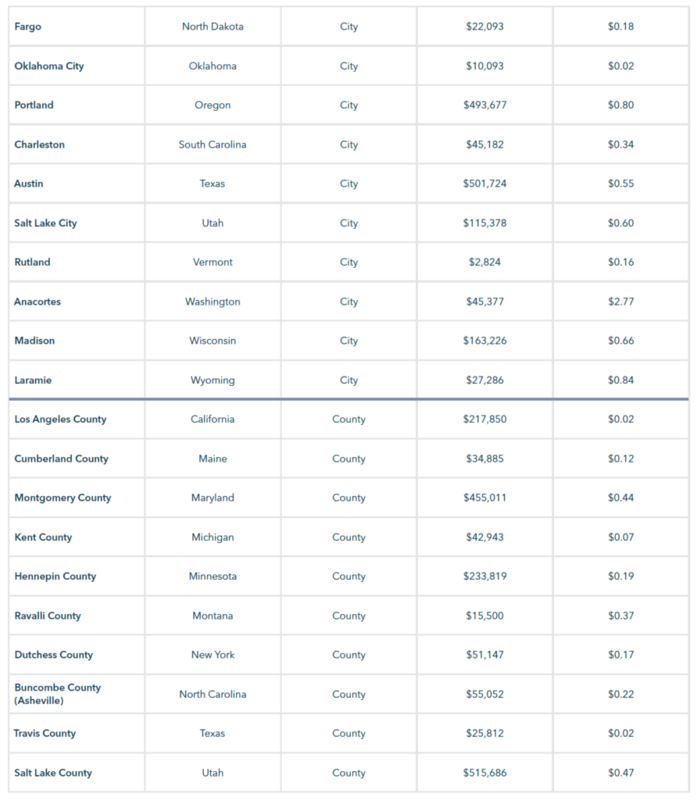 Salt Lake County led among counties, reporting $515,686 spent with Amazon, while Austin, Texas, came in first in the list of cities, with $501,724 spent. 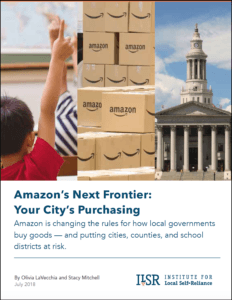 We found that local governments are purchasing a wide range of goods from Amazon. For the City of Boulder, for instance, which spent $142,272 or $1.32 per capita with Amazon in 2016, the most expensive purchase was $3,089 for six standing desks, followed by assorted office supplies, file cabinets, iPads, and printers. Most of the items in local governments’ spreadsheets are mundane — external hard drives, whiteboards, wrenches, space heaters, cables of all kinds. Some are evocative, like a public works department’s purchase of bed bug traps. Especially in the school districts, the purchases can reveal the class curricula and favorite toys; the item descriptions include products like the “Fisher-Price Animal Friends Discovery Treehouse” and books about learning to rap and how to manage depression. For some purchases, like office supplies and hardware items, one could assume that there are other sources for the items. For other purchases, buying from Amazon might be the only convenient option. For some of the local governments from which we received data, the library was the department with the highest spend. In Lincoln, Neb., for instance, the library spent $23,857 of a total spend of $91,539 in 2016, or $0.33 per capita. The greatest increase is from Denver Public Schools, which grew its spending with Amazon 77 percent. It’s clear that in at least some of these cases, this high spend is driven by spending on e-books. In Los Angeles County, for instance, nearly all of the County’s spend with Amazon in 2016 — $206,010 of $217,850 — is from the library. Apart from three small orders ranging in price from $88.92 to $121.76, on which the County explained that Amazon offered “a significant cost savings over other vendors,” the remainder of that County library spending, or $208,648, was for Kindle Whispercast, an Amazon system used by libraries and other organizations for managing the distribution of digital content. In early 2017, Amazon controlled just over 83 percent of the U.S. market for e-books, according to data cited by Bloomberg. In three places, we received data for three levels of government: the city, county, and school district. In these three communities — Portland, Me., Grand Rapids, Mich., and Minneapolis, Minn. — this overlapping spend offers a picture of much higher spending with Amazon per capita. In Portland, Me., for instance, we found that cumulatively, the spend of the three levels of government combined amounted to $3.78 per capita for residents of the city of Portland, or $251,997 for the community as a whole. 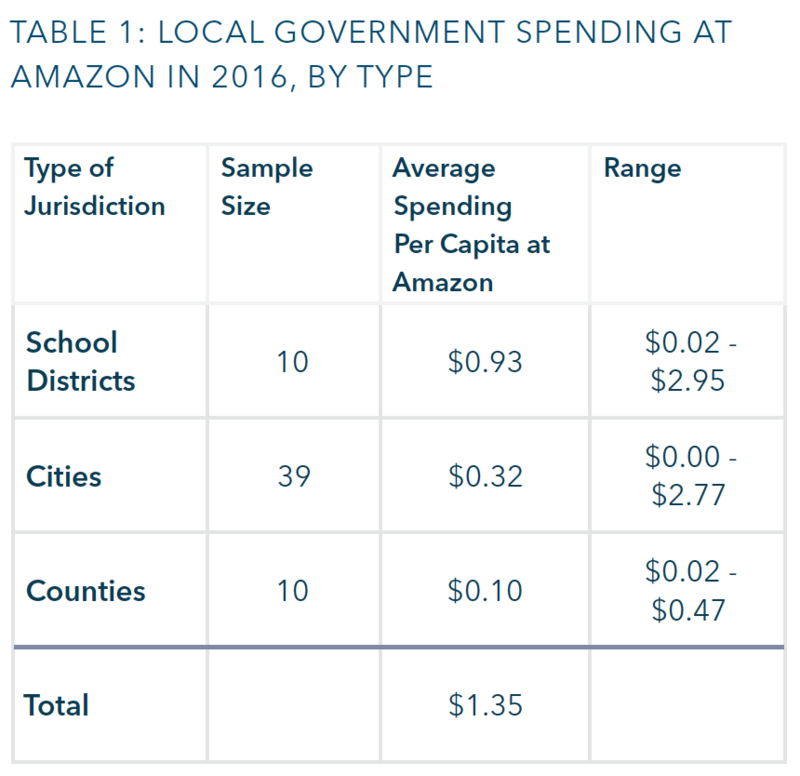 Indeed, when taken separately, overall, local governments’ spending with Amazon in 2016 was modest. For another example in Portland, Me., the school district there spent $140,209 with Amazon in 2016 — a small share of the $2.8 million the district spent on goods that year. When taken together, though, this data shows a picture of a share of local government spending now going to Amazon. We don’t know exactly how the U.S. Communities contract will grow that share. However, we also requested 2017 data from several of the U.S. Communities Advisory Board members. Of these requests, we received 2017 data from four public agencies. Though a very small sample, this data is revealing, and shows significant increases in these public agencies’ spend with Amazon from 2016 to 2017. Overall their spending increased 63 percent. The greatest increase is from Denver Public Schools, which grew its spending with Amazon 77 percent from 2016 to 2017, from about $1.6 million to $2.8 million. Like other agencies, Denver Schools’ largest spend was for books through Kindle, but its records also show many purchases of calculators, printer cartridges, dry-erase boards, post-it notes, and other commonly available goods. This shift is likely to accelerate as the contract ages, as Amazon’s representatives continue to sell it, and as public agencies’ existing contracts expire. Although U.S. Communities estimates the value of the contract to be $500 million annually, or $5.5 billion over a potential 11-year term, the extent of local governments’ existing spending with Amazon — assuming the data sampled here is broadly representative — suggests that this estimate could be low. All of this has implications for the economic health of cities. One of the impacts is, crucially, to local governments’ own tax base. Local and regional companies pay the local sales and property taxes on which cities, counties, and school districts rely. Amazon, meanwhile, still does not collect local sales taxes in some cities, and does not collect sales tax on goods sold by third-party sellers on its site in most states; a motion recently filed by South Carolina estimated that it will lose $500 million over five years in uncollected sales tax on sales from third-party sellers in Amazon’s Marketplace. The story is similar when it comes to property taxes, which are the leading source of revenue for state and local governments. Amazon, however, doesn’t have a physical presence in most of the places where it does business, and as it grows, it’s displacing sales at brick-and-mortar stores and contributing to growing retail vacancy. A report from the firm Civic Economics, for instance, estimates that land use changes triggered by Amazon resulted in a drop of $528 million in property tax revenue in 2015. Amazon has shown no scruples about going after public sector spending even as its own growth and tax strategies erode the revenue on which that spending is based. Local governments are feeling the impact of these shifts. A recent report from the Center on Budget and Policy Priorities found that despite the growing economy, state and local governments continue to face revenue shortfalls, for reasons including below-average growth in sales tax collections. Yet, few local governments are grappling with the impact that Amazon’s rise is having on tax models that are built around place-based commerce. Now, as cities shift their spending away from local and regional companies, or even national companies with local locations, and to Amazon, they’re contributing to the erosion of their own tax base. At the time, Amazon was still not collecting sales tax in these four states. Presumably the company’s attorneys feared that, by supplying local governments in these states, Amazon could trigger a legal standard known as “nexus,” which would compel it to begin collecting sales tax on orders shipped to residents of these states. In other words, even as Amazon was making a bid for a stream of public spending worth an estimated $5.5 billion, it was seeking to safeguard a tax strategy that minimizes its obligation to fund public services, effectively shifting that responsibility to other businesses and individuals. As Amazon pushes into the public sector, cities can push back. 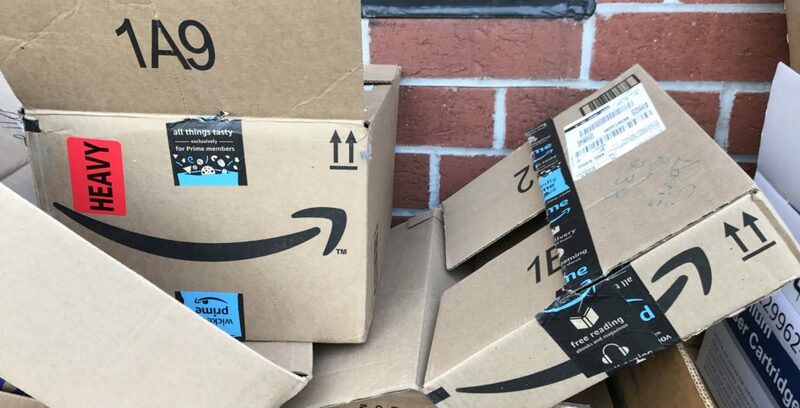 We’re not suggesting that local governments never buy from Amazon: At times, it may offer the most convenient and cost-effective option. We are, however, suggesting that cities pay attention to the shift in public purchasing that’s occurring as Amazon is becoming a bigger force in the public sector, and do so in a way that accounts for the full costs of shifting a share of their spending to the company. Local governments have several options for how to do this. One is to simply keep a close eye on their purchasing, and especially for smaller-value purchases that are made on p-cards, communicate clear standards that any vendor has to meet. 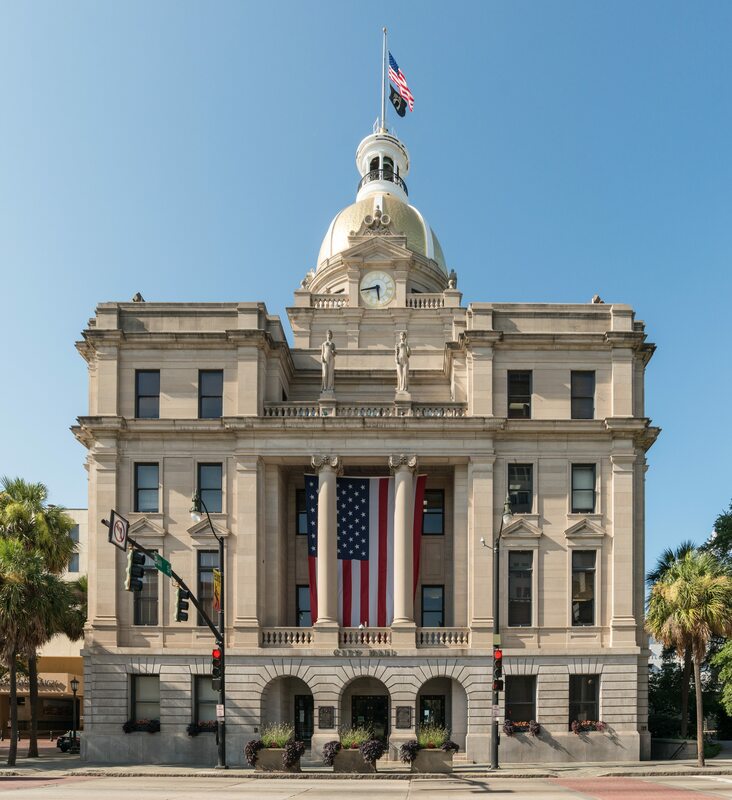 The city of Savannah, Ga., offers one example. The city spent just $7,418 with Amazon in 2016, or $0.05 per capita, among the lowest spends in our sample of 60. That low spend is thanks in part to a city purchasing policy that says that purchases over $25,000 go out for a formal bid or offer, purchases between $25,000 and $1,000 require three quotes, and purchases under $1,000 are up to the department’s discretion, though three quotes is still considered best practice. Another example of what this can look like comes from Los Angeles County. 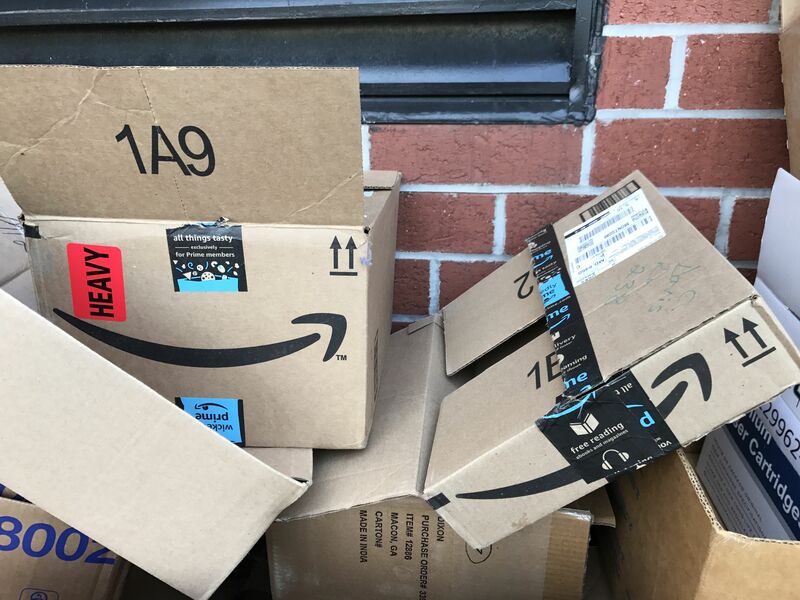 There, the county’s low spend with Amazon in 2016, along with records obtained by data request that include notes about why the county chose Amazon for certain items, suggest that county employees have a high bar to clear to purchase at Amazon. The library system, for instance, purchased from Amazon only in cases in which there was either no comparable option (i.e., its purchases for Kindle Whispercast), or in which, per the library’s notes, “Amazon offered a significant cost savings over other vendors,” which was the case for three purchases in 2016. The policies go on to specify that those negative impacts include that the university can’t get tax-exempt status with Amazon because doing so requires it to accept Amazon’s terms and conditions; that the university is committed to purchasing from diverse suppliers; and that Amazon does not offer the university discounted pricing or free shipping. With this policy, the university allows employees to purchase from Amazon when need be, but also communicates clearly about the downsides of doing so. A second option that cities can use is to institute a policy that explicitly creates a preference for local or regional companies. Local governments have long recognized the value in using their spending to advance other public aims, including local economic development and access to opportunity, and many states and cities have adopted purchasing policies that codify that value. These policies give a preference to businesses that meet certain characteristics, including, in some cases, a preference for businesses that are small and/or local. The benefits are tangible: A 2009 study from California State University at Sacramento, for instance, found that the state of California generated approximately $4.2 billion in additional economic activity and 26,000 new jobs between 2006 and 2007 by contracting with disabled veteran-owned businesses and local small businesses instead of larger companies. Most of these policies, however, apply only to larger awards that go through a bid or RFP process. While they may help local governments assess a contract with Amazon in the future, they generally don’t cover the type of small-value purchases that comprise part of local governments’ spending with the company. The city of Phoenix offers one example of a city that does. Phoenix’s purchasing records show that the city spent just $700 with Amazon in 2016 — a fraction of a penny per capita. Phoenix is also the only local government from which we received data with records that show a contract in which it’s Amazon that’s paying the city: Amazon pays the city $12,313 per month to park its delivery trucks in a city-owned parking lot near the airport. “We’re looking for price competition,” says Capion. This low spend is owed in part to the city’s Local Small Business Enterprise Program. Though blocked by Arizona law from having a purchasing preference for its formal procurements, in 2012, Phoenix created the LSBE program for “informal” procurements, defined as those below $100,000. Through the program, registered small and local businesses get the first opportunity to submit quotes for all purchases below that threshold; if fewer than three locally owned businesses submit a quote, vendors with a principle place of business in the state get the next opportunity. Capion also credits the city’s low spend with Amazon to another factor: Phoenix’s generally tight watch on its spending. In Phoenix, any single payment over $8,600 gets approved by the city council, which offers one check. In addition, Capion says, the city makes a lot of effort to ensure that goods that are part of a contract are being bought through a contract. As the discussion about Amazon’s growing economic and political power has become increasingly loud, that discussion has largely centered around the federal level. Now, as Amazon pushes into public sector purchasing, local governments also have the opportunity to take action. They will face a choice: Whether to use public money to further Amazon’s monopoly power, or to take steps to limit their spending with the company and instead cultivate a diverse economy. Among the benefits of this last option, one is illustrated by Guernsey. In the 47 years since he started his company, David Guernsey has seen it grow to have an impact in his home state of Virginia. Part of this impact is concrete and measurable: When Guernsey’s company delivers an order to a school district, it’s a school district that the business knows well. “We put kids through those schools,” Guernsey says. He goes on to hire the schools’ graduates. “All of our employees come out of those localities,” Guernsey says. And unlike a company with owners and executives concentrated elsewhere, Guernsey’s payroll, from its delivery drivers to its managers, goes to those localities too. “All of the profitability of our company stays within those borders,” says Guernsey. Along with this economic impact, Virginia also benefits from something that’s harder to measure. It’s the value of opportunity, of entrepreneurship, of the ability to start and grow one’s own businesses. It’s also the value of belonging to a community that possesses its own economic capacity and power to steer its own future. When Guernsey talks about his company, it’s this idea that’s on his mind, too. Being based in Virginia means that Guernsey’s payroll stays in the state, from delivery drivers to managers. As Amazon uses its market power — with the help of U.S. Communities — to warp the process of local government procurement, local governments and their citizens are being exposed to new risks. There are concrete issues like fewer safeguards to ensure low prices and tax dollars leaving the community that generated them. Looming underneath that, though, there’s also something else, as the example of Guernsey illustrates: An economy in which, increasingly, there’s less competition and less opportunity, and where the only way to participate is by going through Amazon. Want to take action? Our fact sheet outlines three strategies you can use. In April 2018, OMNIA Partners purchased Communities Program Management, LLC, which had previously managed U.S. Communities. “OMNIA Partners Announces Purchase of U.S. Communities,” BusinessWire, April 16, 2018. “Missouri investigates Office Depot contract prices,” Reuters, Feb. 3, 2009. See: “State staff’s handling of Office Depot contract may have cost taxpayers millions,” Matt Clark, Naples Daily News, July 24, 2010; “Office Depot overcharged Houston millions, auditors say,” Mike Morris, Houston Chronicle, Dec. 7, 2012; “Office Depot CEO to Resign,” Ann Zimmerman, Wall Street Journal, Oct. 26, 2010. “Office Depot to pay $68.5 million settlement to whistle-blower’s estate and California cities,” Shaun Bevan, South Florida Business Journal, Jan. 14, 2015. “U.S. Communities Frequently Asked Questions,” U.S. Communities, accessed March 2018. “What Makes Us Different,” U.S. Communities, accessed May 2018. “Amazon Business’s $5.5 billion public-sector land-grab,” Andy Braithwaite, OPI, February 8, 2017. “In September of 2016, Prince William County Public Schools issued a formal request for proposals (RFP), subject to full and open competition, for an online marketplace covering ten purchase categories. Amazon Business was one of 12 suppliers that responded and, after formal evaluation, which included performance and cost criteria, we were awarded the contract. As a result, we signed a multi-year contract whereby U.S. Communities-participating agencies can now take advantage of Amazon Business’ dynamic marketplace pricing, helping to ensure competitiveness and best-value pricing for education and public sector organizations. Supports Supplier Diversity: Enables agencies to find sellers and report on purchases from local, small, and socio-economically diverse suppliers to meet sourcing diversity requirements. These documents were obtained via Freedom of Information Act request by the National Office Products Alliance, and shared with ILSR. See, for instance, the widely cited paper: “Desiderata: Objectives for a System of Government Contract Law,” Steven L. Schooner, Public Procurement Law Review, 2002. “New Contract Webinar: Online Marketplace,” U.S. Communities, February 2017. “Amazon Says It Puts Customers First. But Its Pricing Algorithm Doesn’t,” Julia Angwin and Surya Mattu, ProPublica, Sep. 20, 2016. “Nike Thought It Didn’t Need Amazon—Then the Ground Shifted,” Laura Stevens and Sara Germano, Wall Street Journal, June 28, 2017. “Competing with Complementors: An Empirical Look at Amazon.com,” Feng Zhu and Qihong Liu, Harvard Business School, Working Paper 15-044, April 28, 2015; “Upstream Commerce Retail Intelligence Research Finds Amazon Muscles In On Its Own Vendors’ Best Sellers,” News Release, Oct. 28, 2014. See also: “Taking the Battle to Amazon,” Sandy Grodin, Independent Dealer, March 2018. “Amazon Business and GSA Advantage: A Comparative Analysis,” Holland D. Canter and Tabitha J. Gomez, Naval Postgraduate School, December 2017. “Event Schedule,” 2018 Spring Conference, Iowa Association of School Business Officials, accessed April 25, 2018. “Amazon’s business marketplace hits $1 billion in sales,” Nandita Bose, Reuters, May 4, 2016. “Anne Rung,” LinkedIn profile, accessed March 2018. “Marion Marin,” LinkedIn profile, accessed March 2018. Section 801 of H.R. 2810—FY18 National Defense Authorization Bill, Chairman’s Mark, June 26, 2017. “Amazon Vies for Federal Business, Denies Crowding Competitors,” Sam Skolnik, Bloomberg Government, April 20, 2018. “Contractors Set to Protest Major JEDI Cloud Solicitation,” Sam Skolnik & Daniel Seiden, Bloomberg Government, May 8, 2018. See above at note 24. In a February 2017 webinar presentation by Amazon Business for U.S. Communities members, for instance, the presenter for Amazon, Daniel Smith, said, “Anne Rung, who leads our government practice, has very much been a part of this process as well.” As another example, on a March 2018 document outlining a modification to the contract, Rung signed for Amazon. We submitted 90 data requests in all. The 60 requests contained in this report are those of the communities from which we heard back, the communities that waived fees or that have low fees to access public records, and the communities that made clear what their search of records encompassed. Our methodology is not randomized; we made decisions on where to submit requests based on which communities have straightforward data request processes, which communities waive fees for access to public records, and also, simply, which communities responded. Similarly, we strove to submit requests in communities that are diverse in geography and size, but this is not a representative sample. AuthorEarnings via “Apple’s Getting Back Into the E-Books Fight Against Amazon,” Mark Gurman, Bloomberg, Jan. 25, 2018. “South Carolina slaps a $500 million price tag on Amazon’s sales tax obligations over five years,” Eugene Kim, CNBC, Nov. 9, 2017. “What are the sources of revenue for local governments?”, Tax Policy Center, accessed March 2018. “Amazon and Empty Storefronts,” Civic Economics, Sept. 2016. “States Faced Revenue Shortfalls in 2017 Despite Growing Economy,” Elizabeth McNichol and Samantha Waxman, Center on Budget and Policy Priorities, Oct. 4, 2017. Amazon has since begun collecting sales tax in these states (though only on its own direct sales, not on its third-party sales). As its tax policy changed, Amazon also extended its U.S. Communities contract to serve public agencies in these states. “Know What I Can and Cannot Purchase,” Office of Procurement Services, Virginia Commonwealth University, accessed March 2018. “Procurement Can Be a Powerful Tool for Local Economies, but Takes More Than a Policy Change to Work,” Olivia LaVecchia, Institute for Local Self-Reliance, Aug. 27, 2015. “The Economic Impact of the Small Business and Disabled Veteran Business Enterprise Programs on the State of California,” Sanjay B. Varshney and Dennis H. Tootelian, California State University at Sacramento, June 2009. See above at note 39. The Institute for Local Self-Reliance (ILSR) is a 44-year-old national nonprofit research and educational organization. ILSR’s mission is to provide innovative strategies, working models, and timely information to support strong, community rooted, environmentally sound, and equitable local economies. To this end, ILSR works with citizens, policymakers, and businesses to design systems, policies, and enterprises that meet local needs; to maximize human, material, natural, and financial resources; and to ensure that the benefits of these systems and resources accrue to all local citizens. More at www.ilsr.org. Stacy Mitchell is co-director of ILSR and director of its Community-Scaled Economy Initiative. Her research and writing on the advantages of devolving economic power have influenced policymakers and helped guide grassroots strategies. She has authored two books, produced numerous reports, and written articles for national publications including Bloomberg Businessweek and The Nation. Contact her at smitchell@ilsr.org or on Twitter at @stacyfmitchell. Olivia LaVecchia is a senior researcher with ILSR’s Community-Scaled Economy Initiative, where her work focuses on building awareness and support for public policy tools that strengthen locally owned businesses and check concentrated power. She is the author of reports and articles that have reached wide audiences, spurred grassroots action, and influenced policy. Contact her at olivia@ilsr.org or on Twitter at @olavecchia. The authors would like to thank everyone interviewed for this report for their time and insights. If you liked this report, be sure to check out all of our resources on Amazon. 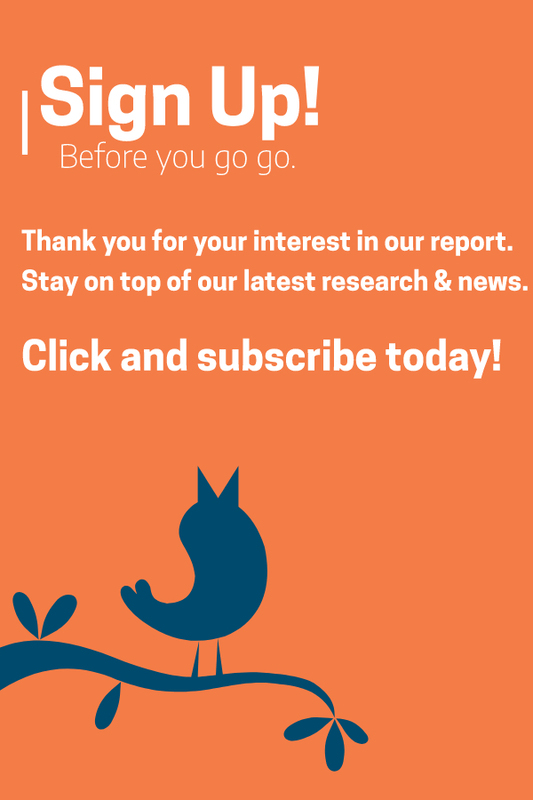 Plus, sign up for our monthly newsletter so that you don’t miss our latest reporting and research.